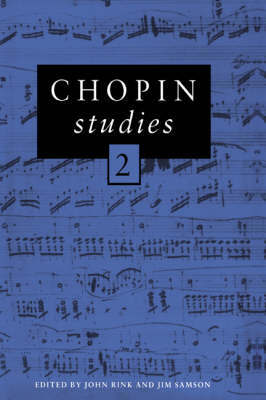 This second volume of essays in Chopin Studies contains Chopin research by twelve leading scholars. Three main topics are addressed: reception history, aesthetics and criticism, and performance studies. The first four chapters investigate certain images associated with Chopin during his lifetime and after his death: Chopin as classical composer, as salon composer, as modernist, as 'otherwordly', as androgyne. The next four essays contextualize and define aspects of his musical language, including narrative stuctures, baroque affinities, progressive tendencies and functional ambiguity. The last four deal with analysis and source study as related to performance, structure and expression, tempo rubato and 'authentic' interpretation. The book ends with a thumbnail sketch of Chopin as revealed in a recently discovered diary for 1847-8.